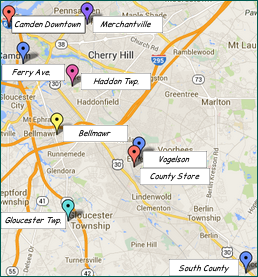 The Camden County Library System needs you! Experience the satisfaction of knowing that what you are doing is important, that your contribution makes a unique difference, and that you are being effective in the interest of others. Our volunteers work at many different tasks that enable the library to provide better service to the community. Teens are welcome to participate and seniors and retired citizens are encouraged to help the library by contributing a few hours of their time each week. Volunteers must be at least 14 years of age or participating through a youth organization, school or church in order to fulfill a community service requirement within a limited time frame (i.e. Scout or school projects). Summer reading club volunteers must be at least 12 years of age or entering the 6th grade. 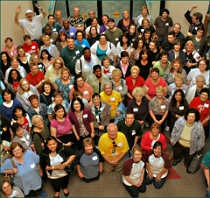 Additional volunteer positions occur as needed in different departments throughout the library. For more information about volunteering, call 856-772-1636, or ask at your local branch. You may either fill out our online application and print it out, or print out an application and fill it in by hand. Then drop it off at your local branch. Please note: the Vogelson Circulation Department is not accepting volunteer applications at this time. Please check back in the near future for updates. Looking for a job? Get anonymous, private, online career tutoring from the privacy of your own home or anywhere you have an internet connection. Working toward your GED or becoming a U.S citizen? 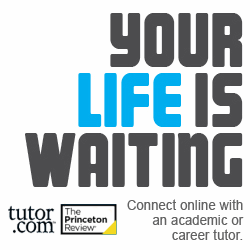 Tutor.com offers one-to-one, real-time tutoring in math, science, English, social studies, writing, GED preparation and citizenship preparation. Bi-Lingual Spanish speaking tutors are also available.